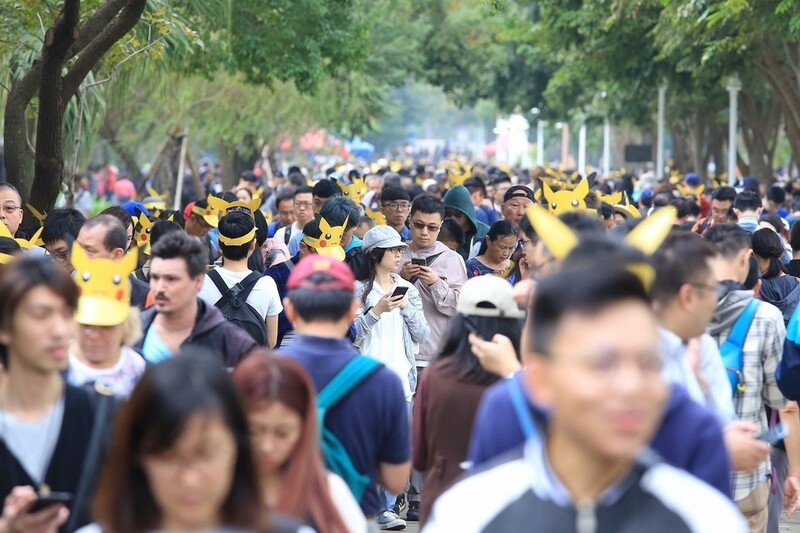 TAIPEI (Taiwan News) -- Over 65,000 trainers (Pokémon GO players), including foreigners, attended the opening day of the Pokémon GO Safari Zone event yesterday (Nov. 1) in the southern Taiwanese city of Tainan, according to the Tourism Bureau of Tainan City Government. 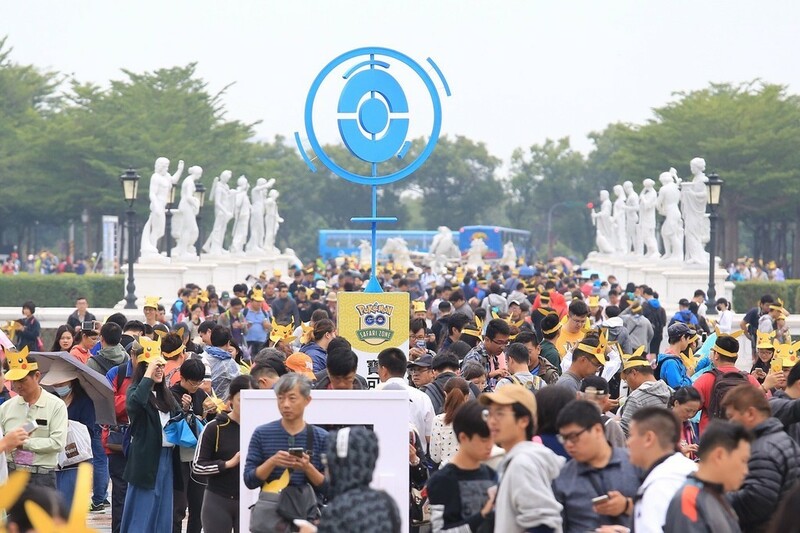 The opening day of "Pokémon GO Safari Zone in Tainan" was unhindered by the remnants of Typhoon Yutu (Jade Rabbit), with over 65,000 eager trainers present at the main venues, and over 100,000 in Tainan City as a whole. 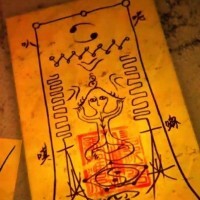 In addition to tens of thousands of Taiwanese, many trainers came from abroad, including Japan, Hong Kong, Singapore, Malaysia, Thailand, the United States, Australia, Israel, Russia, Germany, and Sri Lanka. 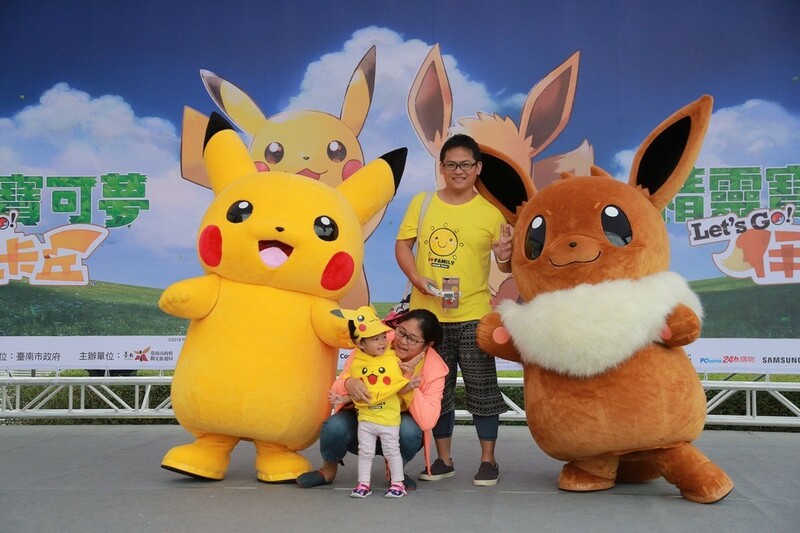 Among the foreign trainers, many said that it was their first time coming to Taiwan and they went straight to Tainan for the Pokémon GO event, with many planning to stay for all five days of the festivities. 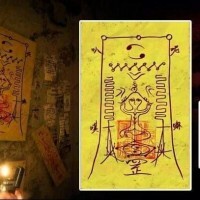 An Australian trainer said he visited the Confucius Temple yesterday and would follow the Pokémon GO map to explore the city of Tainan over the next few days. 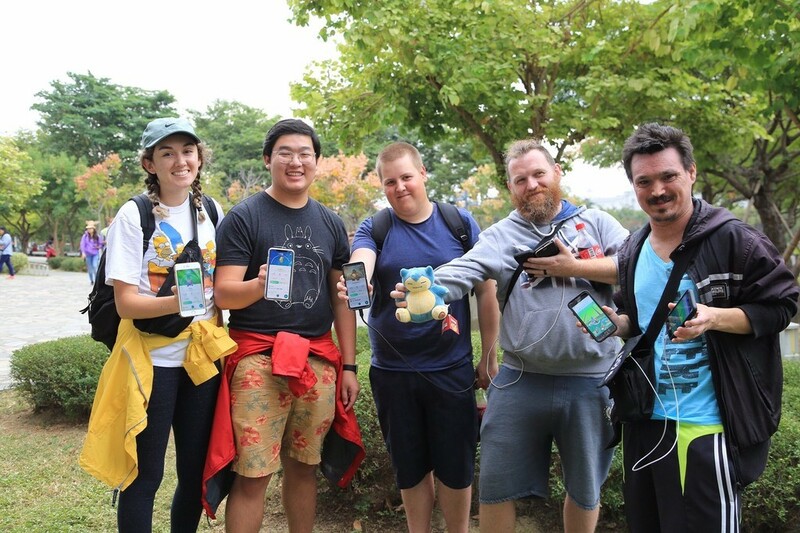 Many locals from Tainan also turned out in force to hunt for rare Pokémon. 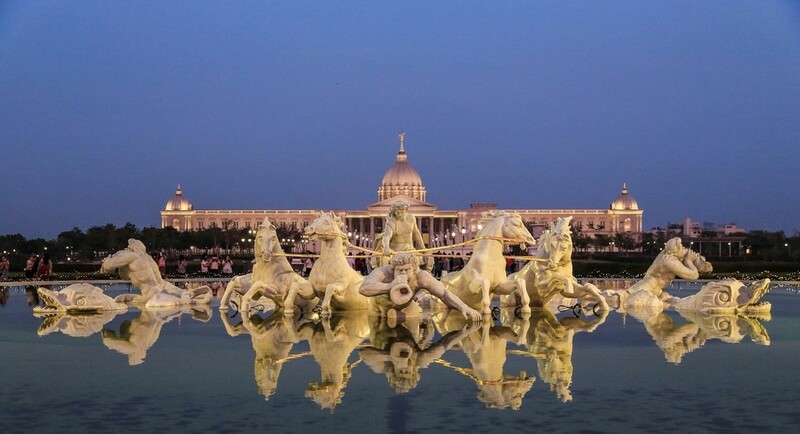 They enjoyed the architecture of the Chimei Museum and its lakes as they watched stage performances by Eevee and Pikachu, and captured rare Pokémon such as Swablu, Pinsir, Relicanth, and Bagon. 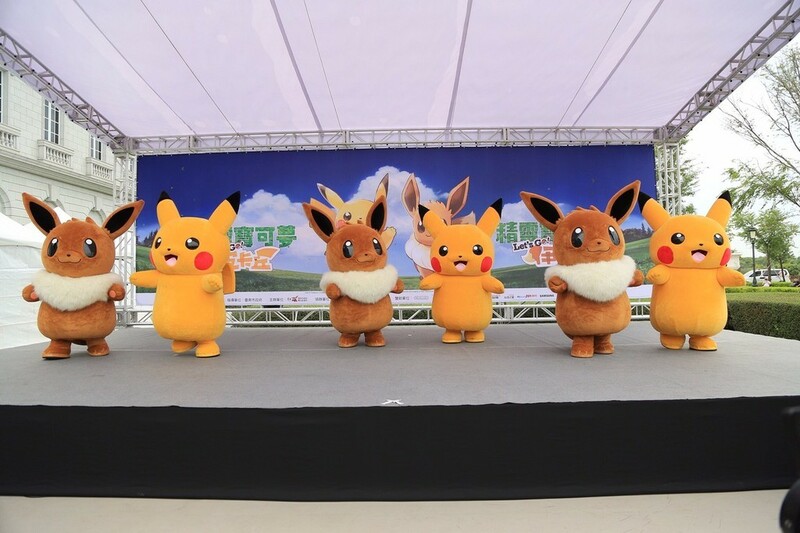 In addition to stage performances by Eevee and Pikachu, the PokeStop and the Nintendo Switch Popup Zone were popular spots among visitors. Another item many were on the lookout for were special free paper Pikachu and Eevee caps at eight different locations in the main venues. The Pokémon GO Safari Zone event is being held at the Tainan Metropolitan Park and the Chimei Museum from Nov. 1 to Nov. 5. Each day, the event will run from 10:30 a.m. to 4:30 p.m. at the two main venues as well as 30 hot spots in the area, according to Tainan's tourism bureau. The Tainan government anticipates that over 200,000 people will attend the five-day event. 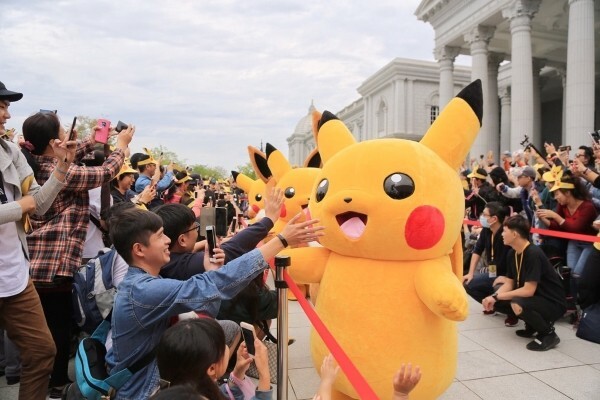 Those who wish to participate need only show the Pokémon GO app on their mobile phones to enter the venues, and they will also be eligible for an NT$150 discount on admission to the Chimei Museum. In addition to the Tainan Metropolitan Park and Chimei Museum, other venues include National Cheng Kung University's banyan garden, Chigu Salt Mountain, Jingliao Old Street in Houbi District, and Tainan Confucius Temple, among others. Due to the influx of mobile phone users, the main venue has a free charging station sponsored by Samsung and a free water stand set up by PChome. 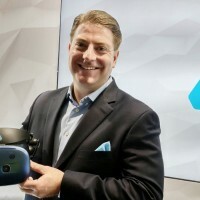 There is also a food zone with over 100 vendors offering a wide variety of meals and snacks, such as braised pork, zongzi, and tea eggs each day until 8 p.m. during the event. 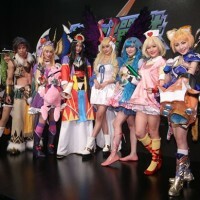 Over the course of the five-day event, the number of visitors is expected to peak on Saturday and Sunday. Due to limited parking space near the main venue at the Tainan Metropolitan Park, trainers are advised to take either Taiwan High Speed Rail (HSR) to Tainan HSR station or Taiwan Railway Administration (TRA) trains to Tainan Railway Station and then take a bus to Bao'an Station (保安站). From Bao'an Station, it is a 10-minute walk to the Tainan Metropolitan Park. The Tainan Tourism Bureau is also arranging for free shuttle buses at the Tainan HSR station and Sugar Mall (台糖嘉年華購物中心). The event is free to all trainers. A page showing maps of the areas where the event is being held can be seen on the pokemonhubs website.